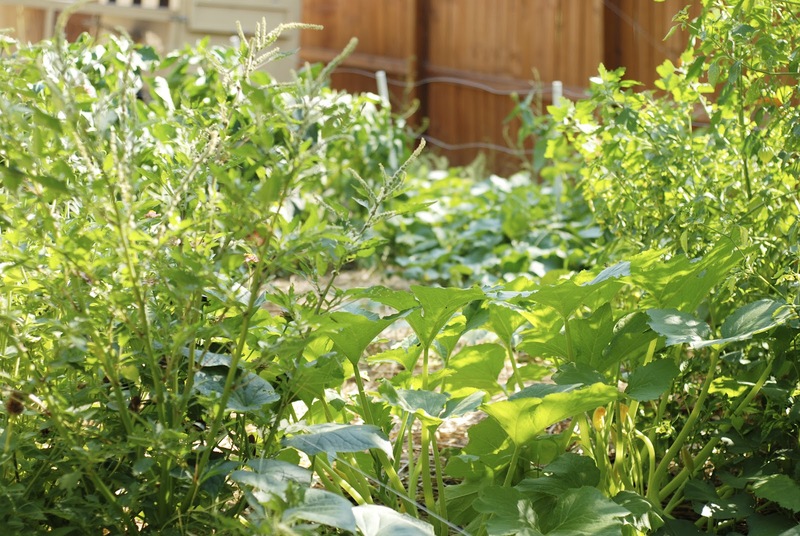 Looking for gardening tips and tricks to become a successful homesteader? If you are, you’ll be glad to check out this list of gardening tips and tricks for homesteaders. When we were just getting started with our homestead, I have to admit was a tough ride. I have read everything about gardening that I came across with. It provided me vital information to help me become the successful homesteader I am today. As time passed by, I have learned to incorporate what I have learned from books and online to what I have experience in doing my gardening task. And yes, I’m proud to let you know some of these gardening tips and tricks I’ve compiled were tried and tested in my homestead. Enjoy browsing and learn! To become a successful gardener you need to have the right gardening tools. Of course, I want to help you have the right tools to get you started. All soil have three main layers: 20% clay, 40% silt, and 40% sand. Testing your garden soil will allow you to find out what components should be added in order to have the perfect soil for your plant. Testing your garden soil doesn’t need to be expensive because you can do it the Pioneer way without the use of any equipment. I do use this Pioneer’s method of testing my garden soil each year before planting season and it never fails to give me a bountiful harvest. Soil works the hardest in a garden, so it needs more attention than you ever think. After testing your garden soil, it is essential for you to develop your soil and find out which necessary components should be added to ensure your plants will thrive. Organically rich soil enhances the development of healthy, broad roots that can reach more nutrients and water. One of the hardest soil to grow plants with is the clay soil. If you have this kind of soil you’re having trouble getting a bountiful harvest, you can now ease your trouble by learning how to amend clay soil to make your plants thrive. A successful garden requires a perfect timing because not all plants thrive and flourish whole year round. There are plants best planted during summer or spring. A perfect plan for the garden gives advantages for producing the best crops each season. To help you learn the perfect time to plant you’ll find this incredible tool, garden seed calculator helpful. I do keep this garden seed calculator handy because it allows me to know when is the best time for me to transfer my plant outdoors. It makes a big difference if you are aware of your gardening zone, as it influences both the success and failures of your garden. Find out what is your gardening zone so you can only plant the crops and flowers that will thrive in your location, thus it saves you time, money, and effort. Every expert gardener starts with the very basic way to grow plants. When I was a novice homesteader these 5 easy tips works for me and even now I still enjoy these. It made my gardening a lot better and easier. If you’re just getting started and don’t want to break your bank in doing so, gardening doesn’t need you to spend a fortune. There are lots of gardening ideas on a budget that will let you set your right foot forward. All you have to do is get know what you want and have the proper resources. Having enough space is essential for the growth of your plants. It allows them to collect nutrients and it provides you a way to maximize your space. The easiest way to give seeds the proper spacing is through seed tape. I am doing this for a long time now, it allows me to have a well-spaced garden without worrying my plants are not getting enough nutrients. Troubled with space or season? If you got more crops to plant than your space allows, container gardening will help you maximize your space and even during winter can gardening can help your plant survive. There are plenty of vegetables and fruits that still thrive even in containers indoors or outdoors, whether you’ve got limited space or sunny window container gardening is a great way to enjoy homegrown fresh produce and add a delicious component to your meals. Whether you are beginner gardener or a budding green thumb who wants to grow food organically whole year round, a raised garden bed is just what you need. It’s the fastest way to have a deep layer of fertile soil. It allows you to do close planting that’s both beneficial to soil’s life and plants because of moisture conservation and being able to control extreme temperatures. Another space saving option is vertical gardening. With vertical gardening, rooting space is the key. If you want to give this a try the basics are pretty easy, you just need a watering system and best kind of crops and you’ll be good to go. Homemade fertilizers are a lot safer and beneficial than to its commercial alternative. You get to know what’s in it plus its lot cheaper. I would say animal manure is still the best option. Fortunately, I’ve got livestock in my homestead, so animal manure comes free. If you’ve got no animal manure, your food scraps or any biodegradable will do. Covering your soil with organic mulch is the perfect way to retain moisture and safeguards your plants from extreme temperatures. Depending on your gardening needs and preference it can be permanent or not. Garden mulch help me with my cleaning because nothing goes to waste with mulching. You can use old newspapers, compost, leaves, grass clippings and more! With composting nothing goes to waste, except the non-biodegradable. Composting is a must know for every homesteader. It helps a garden reach its full potential. It lessens a major a portion of non-organic elements, balances its soluble and unstable nutrients, and quickens the development of soil humus which is essential for plants to flourish. Weeds! Is the one thing that gives you nothing but ruins your yield and the beauty of your garden. Using an unnatural method to get rid of weeds may have harmful effects on the soil. The best way to get rid of weeds permanently is the natural way. Aside from weeds, another parasite that ruins a garden are pests. But do you know that there are insects beneficial to your garden? Get to know which are the insects good for your garden and destroy garden pests that ruin your plants. Aphids, another loathsome pest destroys a garden and yield! I guess, every homeowner, homesteader, gardener wants to be free from this annoying pest. If it’s still possible, it’s still best to get rid of aphids the natural way before considering another method, like contacting an arborist. Just like homemade fertilizer, homemade organic pesticides are safer and cheaper than the commercial ones. But still extremely effective and best for your garden. Every homesteader is aware of this. I remember the day when I notice my plant’s beautiful green leaves are turning yellow. I was worried about losing them, but then I am resourceful enough and have found a natural way to amend plants with leaves that are turning yellow. When your plant’s leaves start to turn yellow, there are some issues your plant are going through. Don’t wait for some miracle to happen, find out what’s behind it and fix it. If you want to produce food year round, a greenhouse is a necessity. It helps extend your growing season and you can even grow a variety of crops that are not commonly grown in your area. The greenhouse comes big and small, depending on your preference and needs. Any prepper would want to have unlimited food supply when SHTF hits. Gardening is just a perfect way to do so, but then there are still some elements that may hinder such goal. How will your protect your food supply? Grow a hidden survival garden in your bug-out location and ensure you get to have food even in the worst situation. If the season limits you in growing your food, well, there’s really no reason for you not to have an indoor garden because there are delicious, hardy edibles that still thrive indoors when the season doesn’t allow them to flourish outdoors. You’ll love to have an indoor garden that will keep you busy even during winter months. Gardening is not just limited for the adult to enjoy. It is also fun for kids to do. Involve your kids with your gardening and have cute kids gardening ideas perfect for your kid’s personality and desires. I assure you, you will not just be rewarded with good produce but also that fulfilling feeling of being able to spend quality time with your young ones. Are you an experienced gardener looking for a new way to grow it? Straw bale gardening might be just the method you need to make your garden become more productive. Straw bale gardening is a method in which you use a regular straw bale as your healthy garden soil. If you think your garden sleeps during winter? Think again, because even during winter your garden still has a lot of things that need to be done. Gardening is year round activity that will leave you no room for being idle. That’s one of the many reasons why I just truly love gardening. It keeps me productive any time of the year. A true gardener and homesteader would love to see greenery wherever is possible. Terrarium plants are perfect wherever you put it. Provide them the best glass container possible, personalize it to your heart’s desire and put in a spot where they can truly shine. It will bring your afternoon tea experience to the next level. What do you love about herbs? Me? Everything! I have them outdoors in my garden and I have them indoors in my kitchen window. I keep them whole year round for my cooking pleasures. There’s nothing like a fresh herb in your meal, so create your own indoor herb garden and enjoy your favorite herbs all year round. Do you know what a hydroponic gardening is? It is a method of gardening using mineral-rich solutions instead of soil! It’s gardening without soil, and it’s helpful for growing crops in their native environment or indoors and in areas with limited yard space, and more! 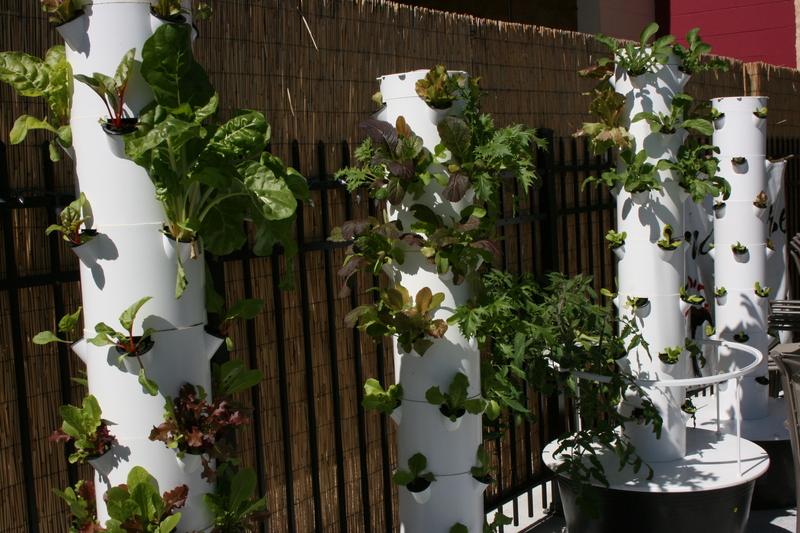 Imagine the unlimited possibilities where you can put up your hydroponic system. Ever heard of this Eastern European gardening solution, Hugelkultur? Well, it’s very organic. It’s self-fertilizing, great for the earth, and works for any kind of soil. So if you love to experiment in your garden, Hugelkultur is a must try. Who says gardening is just for those with big yard space? If you’re in the city living in beautiful tiny homes and apartments but want to start your own garden, the modular garden system is just the thing for you. It does not require a lot of space and you can enjoy it right at the comfort of your home where you can easily access it. Mound gardening might change your life for the better. It’s perfect for root vegetables that require space below the ground. Mound gardening will help you maximize your space and prevent your crops from drowning in water. Careful, though, more water is also not good for plants as it may cause wilting and it will make you lose your plant. I want to always have fresh greens in my homestead. Growing microgreens are my one perfect solution as they are very easy to grow year round and use up a very small space. These tiny sprouts are great for beginners and experienced gardeners alike. If you are planting for a purpose, alliums are the plant for you. I have been planting alliums for as long as I can remember. It does not need much of your attention because it can grow in your flower or vegetable garden. It’s just a matter of you getting started. What does it take to achieve the flower garden that will raise brows of envy? You don’t need to have the green thumb gift to have the flower garden of your dream. There are plenty of easy effective tips and tricks to guide you. Always remember to take one step at a time and in no time your flower garden will flourish the way you can never imagine. If you crave for big and juicy tomatoes, better get your tomato garden soil ready for spring with these very simple steps. This winter activity is all worth it and super easy. It’s hard if you’ve got clay soil in your garden, but worry not because there are still plenty of plants that grow well in clay soil. You just need to know what are the plants best for clay soil. Who knows? With these blooms you’ll have the dream garden you’d been dreaming about. Are you having a hard time raising your own seeds? Then these quick tips for starting seeds is for you. Follow these simple tips to become a successful gardener and avoid mistakes when starting seeds. Just like humans, seeds need necessary nutrients and proper care to survive. Giving seeds what they need to survive in stasis is one way of becoming a successful homesteader. I don’t know with you, but I enjoy the chirping of hummingbirds. If you want to attract hummingbirds to your homestead, get to know what are the flowers that attract hummingbirds. Becoming a homesteader, self-sufficiency is one thing that you have to achieve. Being able to grow and use medicinal herbs in your homestead is a sign that you are a progressive homesteader. Find out what are the top medicinal herbs to grow at home. I love green onions! Being able to grow them in my homestead makes me so proud. I have a supply year round without spending on seeds or new plants because I grow them from scraps. Yes, you can easily grow onion from scraps. Growing fresh greens all year round is possible. Choose which top hardy plants to grow in winter that’s best suited in your area and you’ll be able to enjoy your produce in no time. 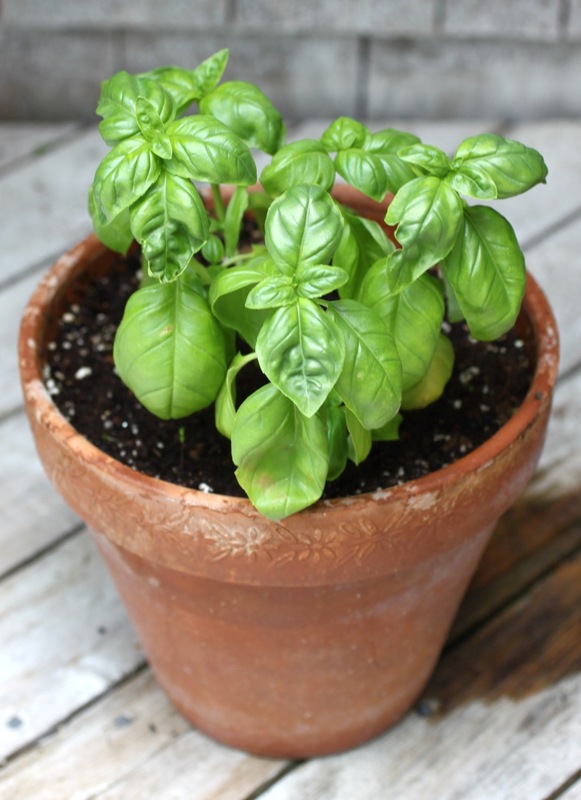 Basil is popular for its culinary uses that is why it is always included in my meal plans. I love the sweet and fragrant addition of Basil. If you do too, well, having them around is just so easy, learn how to grow basil indoors and be rewarded. You don’t need to spend that much if you want a perfect planter for seed starting. Save your money and DIY a bottle planter perfect for seed starting. Having a limited space for fruit trees will no longer be a problem! Learn the secrets of growing fruit trees in containers and enjoy fresh fruits in the comfort of your own space. Winter is here and there’s no stopping it! Better plan the best crops for fall harvest and ensure a bounty to enjoy during the fall season. Bees are great pollinators. They help your plants get the proper nourishment it needs. So, it is an advantage if you create a bee friendly garden. There’s no other joy of having your own fresh fruits in your backyard! Learn how to grow fruit from seeds and enjoy the advantages of having fresh fruits in your own backyard. It means no more spending on fruits, as you’re got to enjoy a homegrown product at home. You can even turn it into to cash! There’s a gardener inside everybody simply waiting to flourish. Once you get started you’ll see that there’s no pleasure comparable to embracing beautiful flowers or eating on a plate of fresh greens you grew yourself. Don’t miss out on a great opportunity because you’re too worried about not having a green thumb. Plants are created to grow, however, they’ll flourish better with a little assistance from you. So, what are you waiting for? Use these gardening tips and tricks to get started and enjoy your reward in no time. Did you find what you’re looking for to get started with gardening? I would be very happy to know when you will get started? Let me know in the comments below. Want to start an indoor winter garden? Learn how with this impressive infographic: Ultimate Guide To Have An Indoor Garden For Winter! Like gardening & house plants good for you,find Homestead.